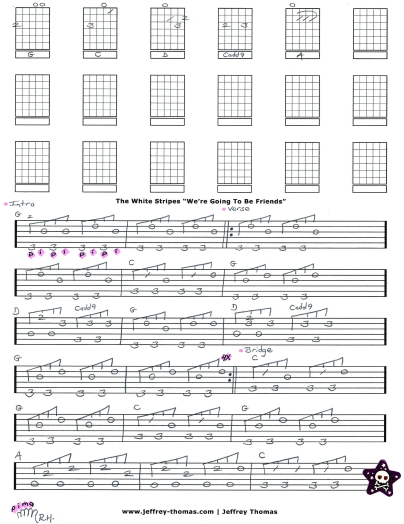 White Stripes We’re Going To Be Friends Free Guitar Tab by Jeffrey Thomas. Learn to play We’re Going To Be Friends on guitar with my pop guitar tab arrangement. So far I just have page one completed following the basic fingerpicking and chords. I kept the verse simple and just tagged it with a repeat of 4 times. On the recording Jack White is changing the picking pattern and notes he uses for the G chord. Most of my students want to keep the song simple so I stayed with a consistent picking pattern. Want the full guitar tab for free? Send in your email address using the form provided. Looking for online guitar lessons? Fill out the Schedule A Free lesson form to set up a free Skype guitar lesson. “We’re Going To Be Friends” was featured on the opening credits for the 2004 film Napoleon Dynamite. 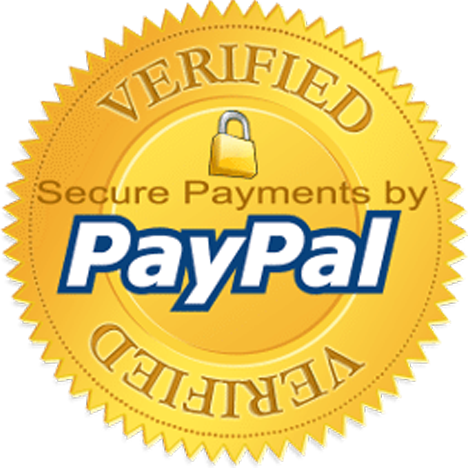 Make sure to check out more online guitar lessons on my tab, video and blog pages.